I had no idea I had so many kindred spirits online. This is just a small sample of some of the splendor to be seen. 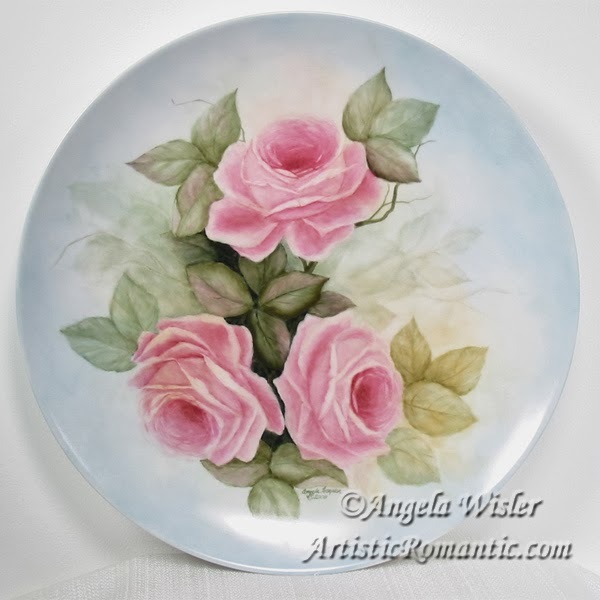 Follow Artistic Romantic's board Romantic Cottage Style on Pinterest. So many creative people sharing their talents. romantic and country cottage lifestyles. bona fide cottage style junkie devotee. Welcome to my Artist's Journal or Blog, if you prefer. detail the process I use for painting china and other pretties. 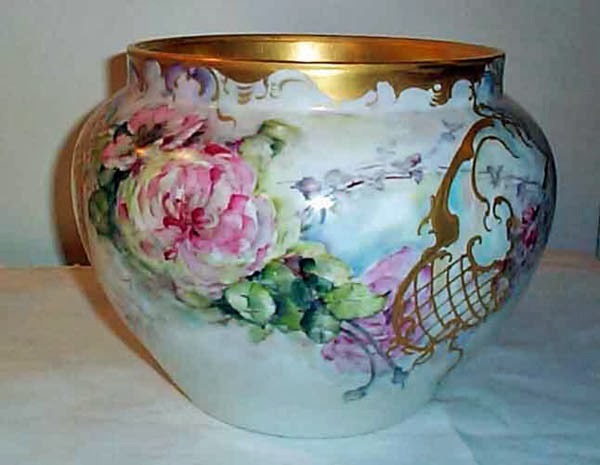 Porcelain painting is deemed by some, "a lost art". I can tell you that around me in Maryland it's not lost, just scarce. I wanted to learn the basics so, I traveled 160 miles round trip to Pennsylvania. agreed to instruct me briefly, because I was 50 years younger than she. She told me she got a kick out of someone, "young" wanting to learn. China and porcelain are staples in romantic cottage and shabby chic décor. to create those Limoges & Bavarian treasures. It is a diverse and challenging art form. and illustrating my creative process. I adore cottage style decorating and hope this becomes a place for sharing, fellowship, and friendship with others who enjoy creating and decorating. "Kindred spirits are not so scarce as I used to think. Hi Angela, Love your gorgeous paintings. Such a wonderful post to showcase your talents and beautiful treasured pieces. So great to meet you and have you as a member of ECS. So happy to know another cottage style kindred spirit. Thank you for stopping by and your new following. Have a great week and happy painting. Angela, I love all of your paintings. 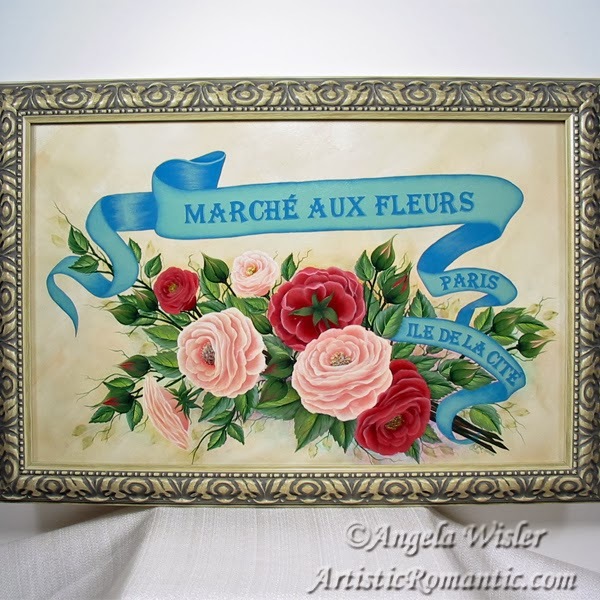 I love roses and especially rose paintings. I am trying to teach myself how to paint roses and yours are just truly beautiful. 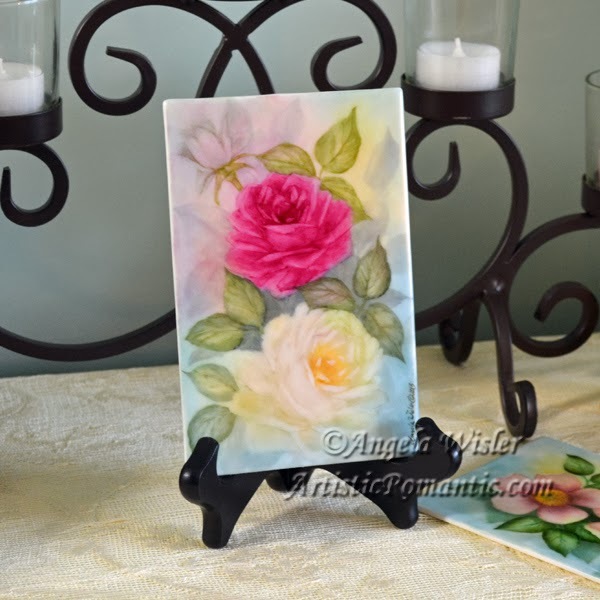 Hi Angela ~~ It is so much fun pursuing your passions in life and I am happy to hear you are able to learn to paint, You are so talented, the roses are wonderful.